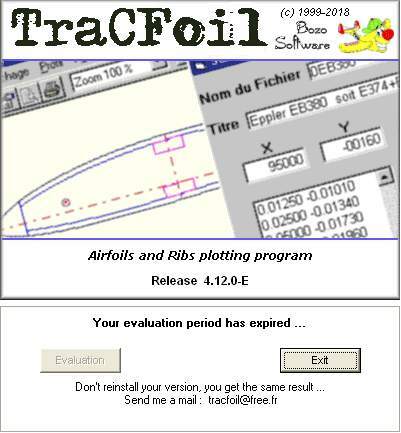 Release of TraCFoil : This archive contains the TraCFoil.EXE, readmeE.txt and hepl file. Note: Beware of false positives from some antivirus programs: A control of the majtracfoil. exe file is available. 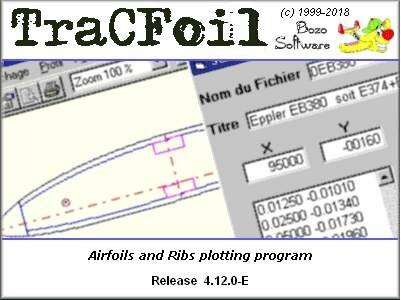 Just run the majtracfoilE.exe, In the TraCFoil directory, the new files erase the old files.